SALT LAKE CITY, August 30, 2018	(Newswire.com) - Medical assistants from across the country will meet Sept. 14–17 in Salt Lake City, Utah, to discuss trends that affect one of the nation’s fastest-growing careers. 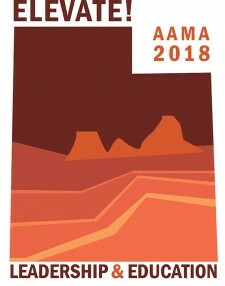 Sessions at the 62nd Annual Conference of the American Association of Medical Assistants (AAMA) will cover the latest in patient care featuring administrative and clinical topics on health care fraud, occupational therapy, depositions, Medicare health assessments, workers’ compensation fraud, pharmacology, and more. The AAMA Annual Conference will be held at Hilton Salt Lake City Center. Medical assistants who have not registered for the conference may register at the door. With more than 50 CEUs offered, attendees who are CMAs (AAMA) will have the opportunity to select from a variety of educational offerings and earn up to 22 CEUs that will count toward recertification of their credential. In addition, AAMA leaders will meet and make decisions that will help guide the future of the association, and exhibitors will display the latest in medical assisting products and services. Throughout the conference opportunities for medical assistants to network and form connections with colleagues will abound. Medical assisting is one of the nation’s careers growing much faster than average for all occupations, according to the United States Bureau of Labor Statistics (BLS). Medical assistants work predominantly in outpatient health care settings. Employers are seeking and recruiting these allied health professionals because of their uniquely diverse clinical and administrative patient-centered training. The Certified Medical Assistant (AAMA)—or CMA (AAMA)—credential represents a medical assistant who has been credentialed through the Certifying Board (CB) of the AAMA. Certification status is a matter of public record and may be released. Every day the AAMA responds to more than 100 employer requests for CMA (AAMA) certification verification—for both current and potential employees. For more information, visit www.aama-ntl.org or call the AAMA directly at 800/228-2262. The American Association of Medical Assistants is the only organization dedicated exclusively to the medical assisting profession.